Nothing is known about the artist R. Clint, and the V&A has no documentation relating to the acquisition of this painting, which at some time in the past (probably the late 19th century) was put into a mount bearing an incorrect accession number; it was reaccessioned in 2004. 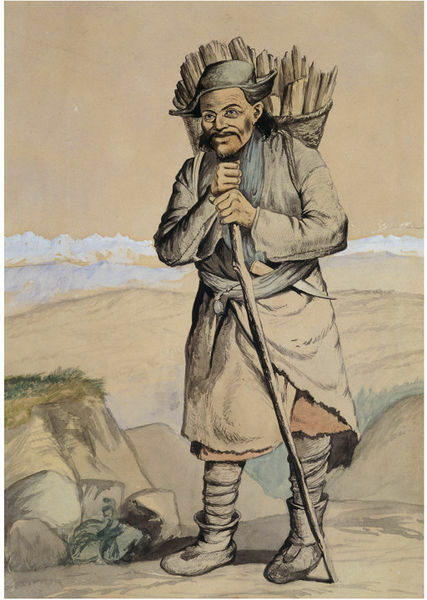 The painting depicts a Bhotiya villager from Spituk in Ladakh carrying a basket of wood and was painted in Simla (Punjab State) in March 1866. The Bhotiyas live in the northernmost border areas of the Central Himalayas and practise migratory cattle-raising and traditional agriculture. Spituk or Pituk (the ‘S’ being pronounced by Ladakhis but not by Tibetans) is the site of a gompa (monastery) eight kilometres from Leh. 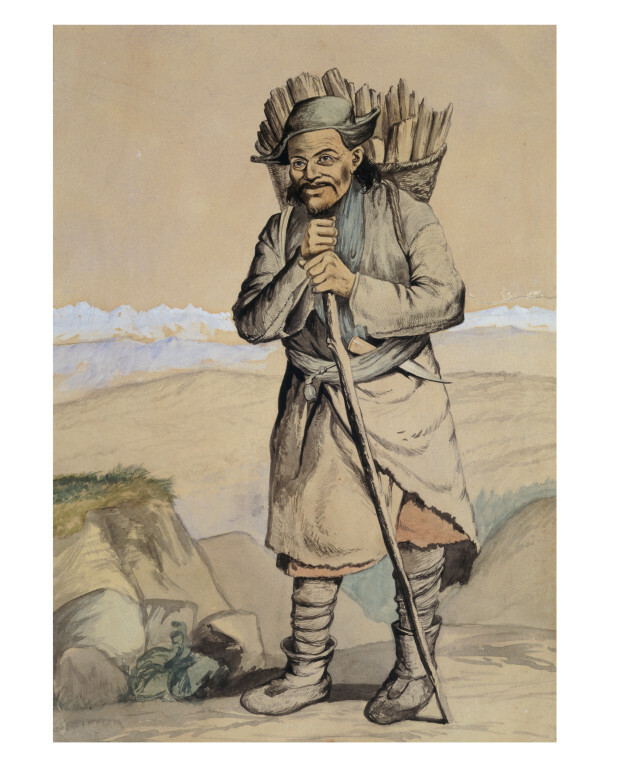 Two similar watercolours by Clint are in the Asia, Pacific and Africa Collections in the British Library. 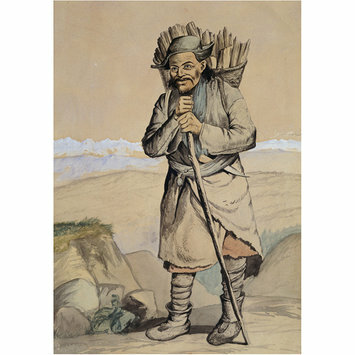 Depiction of a Bhotiya villager from Spituk in Ladakh carrying a basket of wood. Painting loose in a mount.